Has the Mercedes-Benz SL found the fountain of youth? No, the German roadster is simply set to get a raft of cosmetic and technical upgrades as part of its customary mid-cycle facelift. 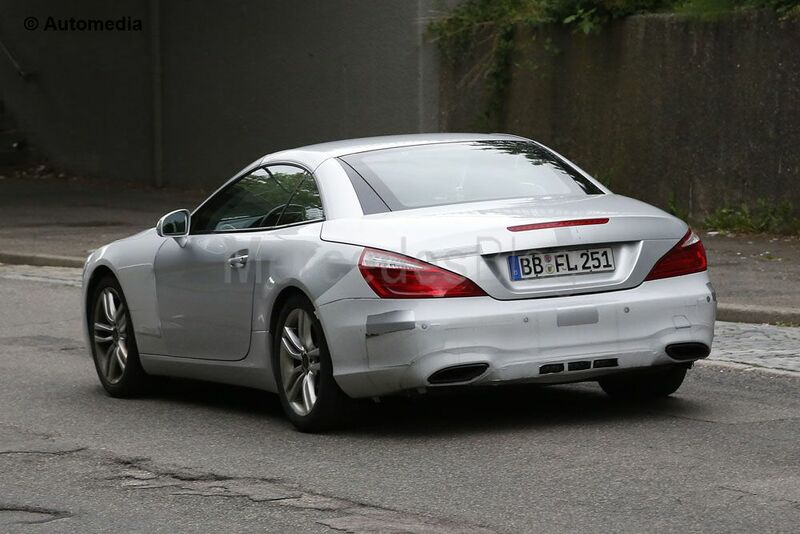 New spy pictures reveal more clearly the redesigned headlights – similar in style to the ones used on the S-Class Coupe. These are joined by newly-shaped lower air intakes, the newest iteration of Mercedes-Benz’s front grille, as well as a pair of redesigned taillights and rear bumper with more prominent exhaust pipes, at the rear. Unfortunately, the interior of this test model is still heavily camouflaged. Of course, this can’t stop us from revealing the infotainment system will get a major overhaul with the C-Class’ style rotary control system and larger touchscreen all expected to make an appearance. On the engine front, Mercedes-Benz is not holding any significant surprises in its sleeve with the current line up carrying over mostly unchanged. Last year, the range has seen the addition of the SL400 version, powered by a 2.996 cc twin-turbo V6 producing 329 HP. The SL500 and SL63 AMG V8-powered variants will remain on offer, as well. 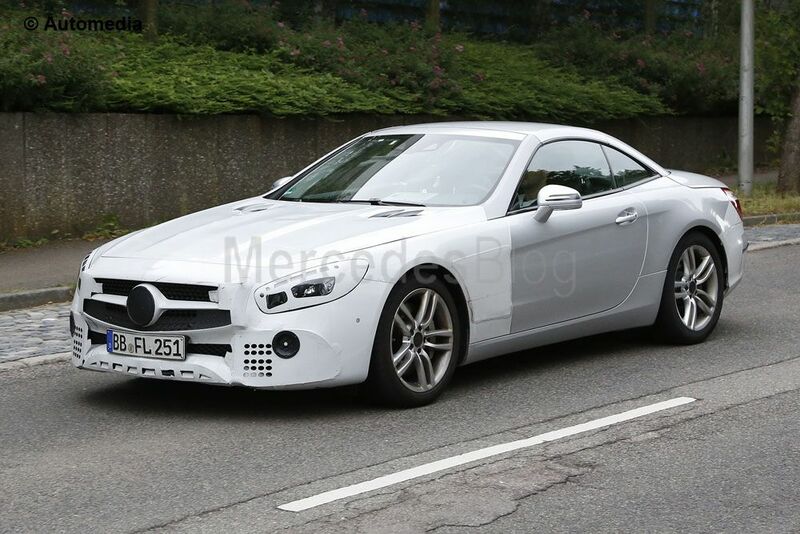 The younger Mercedes-Benz SL is due to go on sale next year with an official reveal at next year’s Geneva motor show more than likely.